Whether it’s your time or your talents or your treasure, generosity of the heart is at the core of being a disciple of Christ. When we freely and joyfully share the love of Christ and his gifts with others his abundance is poured out in our lives. We encourage our AMiA Churches and Works to teach this generosity in stewardship, not as something that ought to be done, but rather as an attitude of discipleship. The 10-10-10 Giving Principle ensures resources are available for mission and ministry at each level in the Anglican Mission. Please join us in this culture of generosity with a financial gift. For information about giving opportunities and methods of giving please contact us. Our primary call as a missionary movement is to reach the lost through church planting, largely planting out of our existing churches. The Living the Mission (LTM) Fund gives us practical ways to do this and live into our mission statement and make that a reality on the frontlines. Our AMiA Resource Churches support new churches growing out of their existing membership into new areas of their cities, and training and residency programs for new priests/planters. Each year LTM funds the establishment of new congregations in the U.S., supporting the growth of current AMiA churches and plants, and providing for new communities of faith, priests, planters and their families. Join with us in reaching the lost for Jesus Christ through your generous gift to Living the Mission. Use the donate button at the top right of this page to contribute to the Living the Mission Fund. You can also use the donate button at the top right of this page to contribute directly to one of our partner ministries like Front Range Mission and Liturgical Folk or to make administrative payments. As a matter of faithful stewardship of our resources, The Anglican Mission in America (AMiA) is committed to conducting its financial affairs with excellence. 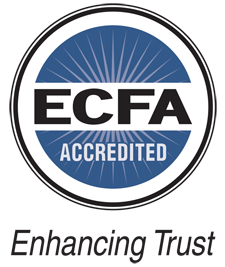 Accreditation with the Evangelical Council for Financial Accountability (ECFA) is an expression of our high standard of accountability for governance, financial management and stewardship. Visit ecfa.org to find out more. All your information is secure and will never be shared.